One of the main roles of a Unit 12 Consultant is to work with other Threat Intelligence Teams around the world, sharing information about the latest malware, vulnerabilities and cyber criminals that we come across as part of our work. CyberGuard has a Threat Intelligence sharing agreement with Kaspersky Lab that gives us access to information collected from 400 million Kaspersky endpoints around the globe. 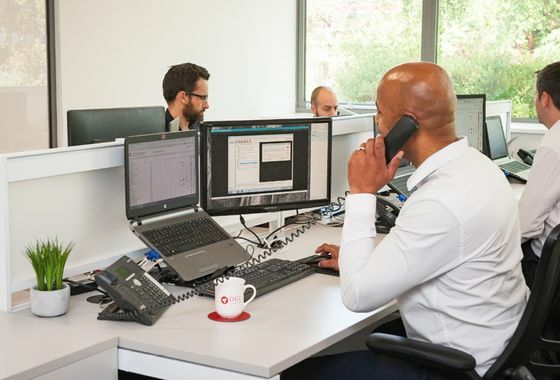 As well as working on Threat Intelligence we also provide additional information in the form of monthly defence reports, quarterly spam and phishing reports, security alerts when needed, and detonation reports every other week. With the ever-growing use of email, data that’s sent almost instantaneously to multiple contacts around the world via the internet, the advent of social media, cloud computing and the new threat of cyber-crime, the world of data has completely changed since the last data protection legislation was introduced, nearly 20 years ago. It was only a matter of time before new regulations would be needed. At its core, it’s simply about keeping your data secure and having the appropriate practices in place to prove you are adhering to these standards. We like to work in partnership with you to fill the gap in your cyber security protection. Therefore the first thing we need to understand is where you are right now. We do this using a free, simple Cyber IQ Test to gauge what measures you currently have in place and where you feel you are knowledgeable and where you need help. The test will take you less than 5 minutes and depending on your score, we can then provide you with recommendations on areas you should consider in order to strengthen your position against cyber-crime. We work with other Threat Intelligence Teams around the world, sharing information about the latest malware, vulnerabilities and cyber criminals that we come across. Keeping data secure is the foundation of GDPR. We have a number of services and products that can help you to achieve compliance.